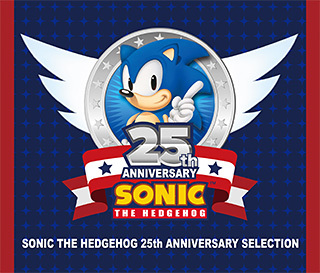 SEGA Japan have revealed a new 3 disc soundtrack boxset of Sonic the Hedgehog music called SONIC THE HEDGEHOG 25th ANNIVERSARY SELECTION. The new boxset features a vast selection of tunes from various Sonic games as well as a few exclusives like the main theme from Sonic Boom and Beyond the Speed Of… and Theory of Attack from the Sonic Runners soundtrack. 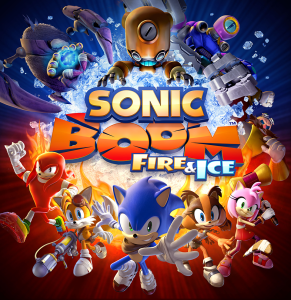 What’s really interesting is its inclusion of a bonus DVD that contains promotional videos and cut scenes from various Sonic games, the most exciting of which is the Sonic CD opening cut scene. Yes, you can finally own the Sonic CD opening cut scene on DVD! SONIC THE HEDGEHOG 25th ANNIVERSARY SELECTION will release in Japan on the 10th of July for 4000 yen. There are no details as to what Sonic’s appearance in Lego Dimensions fully entails. We don’t know whether Sonic’s addition will come as a part of a story pack, level pack, team pack or fun pack and we don’t know what additional characters from the Sonic franchise will also be appearing. The above artwork does hint that Sonic’s vehicle might be the Tornado if that little bi-plane next to Voldemort is anything to go by. We’ll update this story with more details as we get them.